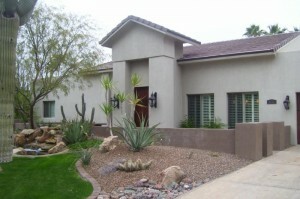 McCormick Ranch was the first master planned community in Scottsdale, AZ. 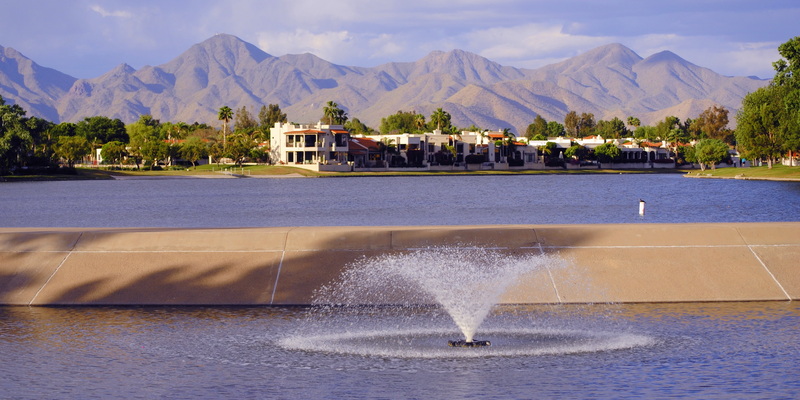 Development began in the early 1970s in what is considered the South Ranch today, near Hayden and Indian Bend Rds. 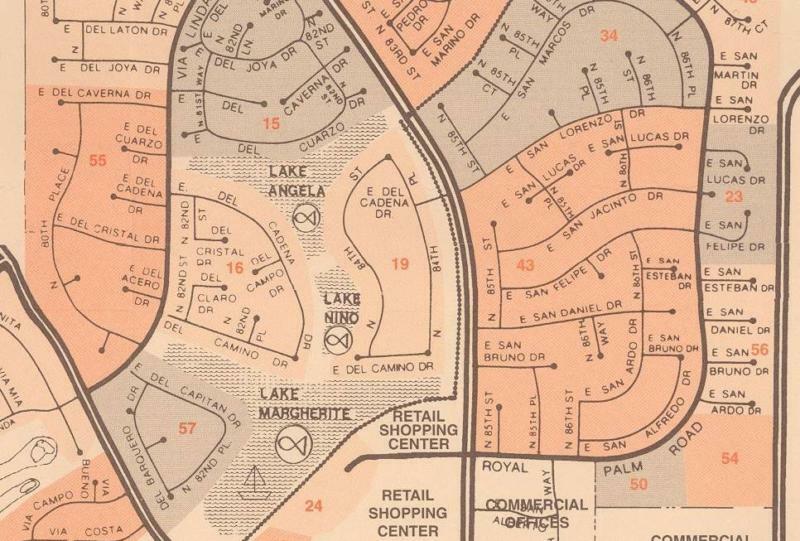 These early McCormick Ranch properties were constructed primarily by the Suggs Co.
As development of the Ranch progressed, new subdivisions began to sprout up further north in the late ’70s. Camelot, Dix and Golden Heritage were prominent builders along the Via Linda corridor between Via De Ventura and Hayden Rd. Vista De La Tierra was developed by Camelot Homes (later known as Hancock). 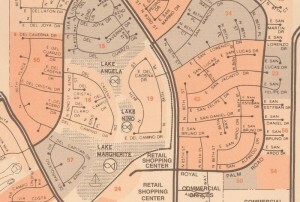 Encompassing N. 80th Place on the South, Del Caverna on the North, and bounded by Via Linda on the East and Rotary Park & Gainey Ranch on the West, the homes in this subdivision marked a sharp departure from earlier McCormick Ranch construction. Larger models and soaring vaulted ceilings with Spanish tile roofs joined the smaller properties with low ceilings. 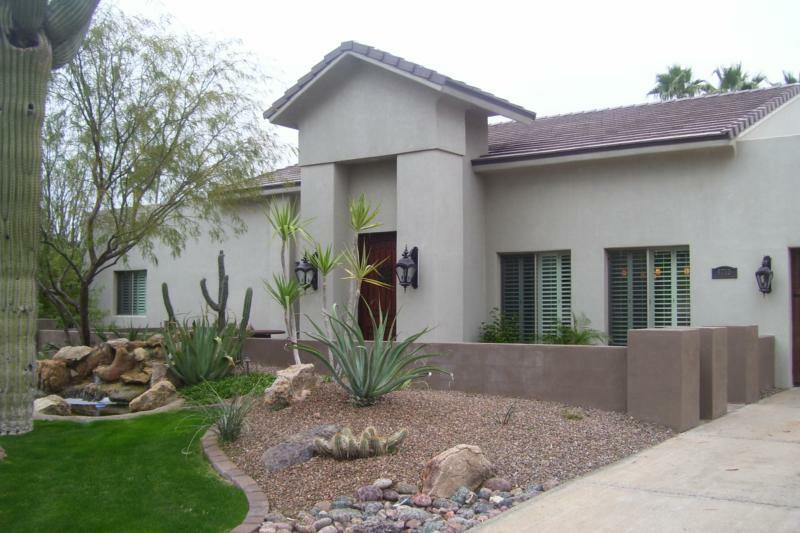 Stucco finished exteriors took the place of exposed slump block. Larger lots made Vista De La Tierra highly sought after as well. Another big draw for the subdivision is the proximity to the McCormick Ranch lake system. Lake Margherite is the largest of the three neighborhood lakes, and lies just across Via Linda from N. 80th Place. Lake Angela lies just across Via Linda on E. Del Cuarzo. Fishing and boating are available to residents, and the famous multi-use paths circumnavigate the area as well. Vista De La Tierra, along with the other subdivisions north of Via De Ventura are also located in the Chaparral School District. The district includes the excelling Cochise Elementary, Cocopah Middle and Chaparral High Schools. With test scores that routinely place at the top of the Scottsdale Unified School District, this just might be the most sought after district in the state. The Regal – approximately 2004-2109 square feet, 3 or 4 bedrooms, no vaulted ceilings. The Monarch – approximately 2274 square feet, 3 bedrooms (den option), no vaulted ceilings. The Windsor – approximately 2364 square feet, 3 bedrooms, partial vaulted ceilings. The Chateau – approximately 2669 square feet, 4 bedrooms, partial vaulted ceilings. The Lancelot – approximately 2748 square feet, 4 bedrooms, partial vaulted ceilings. The Embassy – approximately 2914 square feet, 4 bedrooms, partial vaulted ceilings. In addition to the original models, there has been one instance of infill construction and total rennovation of other properties. Camelot originally held back one lot on N. 80th Place. In the mid ’80s, the builder eventually built an expanded Embassy model, which features a 5th bedroom, bringing the square footage up to nearly 3500 square feet. 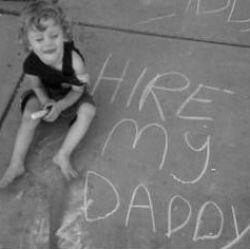 Recently, several properties have been taken virtually all the way down to the ground. The new construction that has gone up in their place range from 3000-4000 square feet, and have sold in excess of $1 million. There are 98 improved properties in Vista De La Tierra. They are all single level per community Covenants, Codes and Restrictions (CCRs). 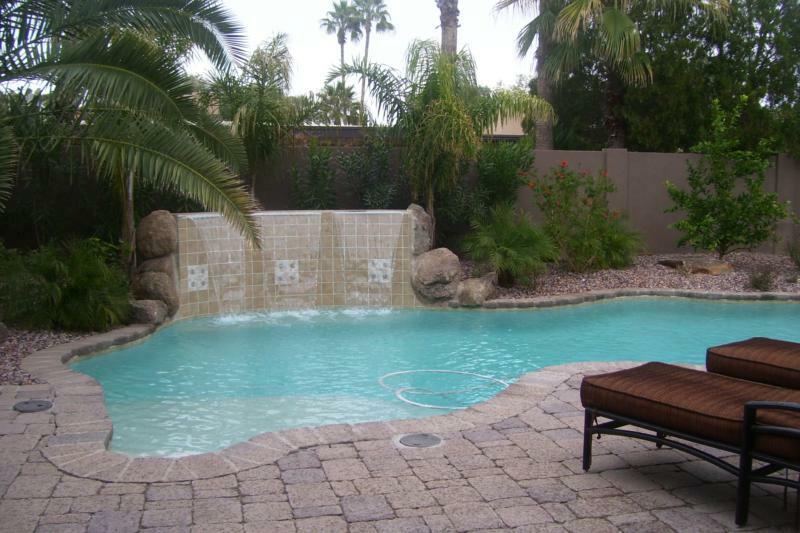 The average property size is 2549 Sq Ft. 90 of the 98 homes have swimming pools. McCormick Ranch is an amazing place to live, and Vista De La Tierra is one of its finest subdivisions. Check out the live listing feed below to see the latest homes for sale or lease in Vista De La Tierra of McCormick Ranch! Nobody knows McCormick Ranch Real Estate like Ray and Paul Slaybaugh. Ray has been a licensed Realtor in Scottsdale since 1974, and is an original resident of Vista De La Tierra. He had his Embassy model built in 1978. Paul grew up in the Ranch, and joined Ray at Realty Executives in 1999. Whether buying, selling or just curious about the current McCormick Ranch market, call the original McCormick Ranch Experts today!